"like most people, I first learned of St.Lewis and his work about 5 years ago through a memorable full-page ad that appeared in several of the slick international art magazines. 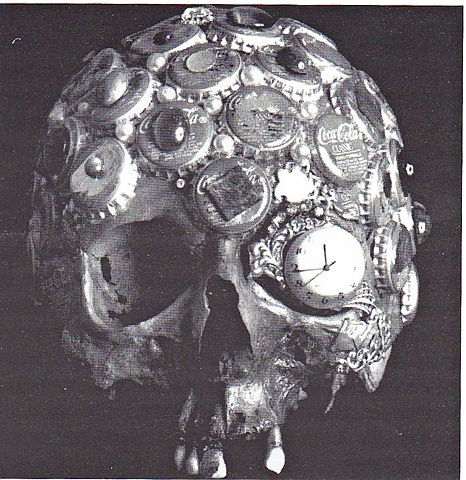 Advertising a current New York Show by the artist, it featured a full size black and white photograph of an assemblage titled Post-Mortem Portrait of Any Warhol, which consisted of a real human skull encrusted with Coca-Cola bottle caps and wristwatch faces and costume jewelry. The image instantly imprinted on my brain, as did the artist's catchy name."